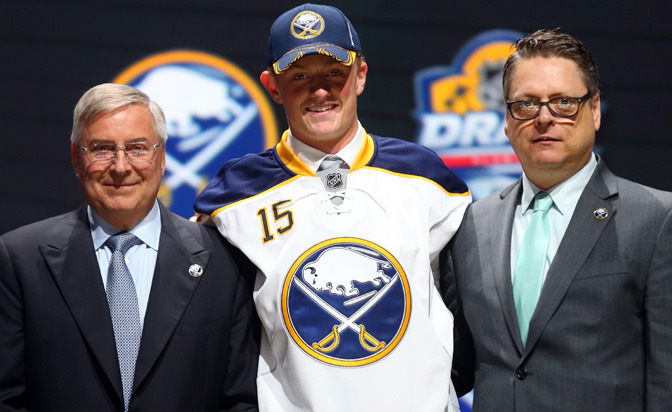 Following the end of a disappointing NHL season where the Buffalo Sabres couldn’t even win the 2015 NHL Draft Lottery to get the 1st pick all eyes were on the Sabres at the draft to see if they would make any moves. A couple of days before the Drat rumours were flying around about various players the Sabres were chasing. Cam Talbot was the main name doing the rounds as everyone knew the Sabres needed a number 1 goalie. The Sabres at the start of Day 1 of the draft held 3 picks in the first round at numbers 2, 21 and 31. I think deep down I always knew GM Tim Murray would make a move and in the weeks leading up to the draft Murray himself has said all along he would always listen to offers. The morning of the Draft saw the news break that Murray had traded away the 21st pick to the Ottawa Senators. In return the Sabres received goalie Robin Lehner and veteran center David Legwand. 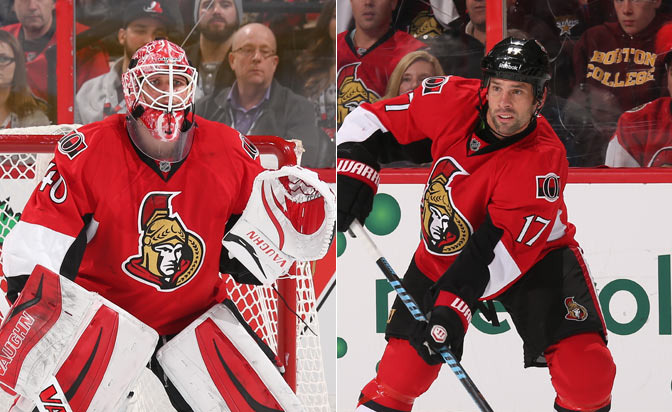 Lehner moving from the Sens was something that was always going to happen with the Sens having a lot of depth in the position with Craig Anderson and Andrew Hammond seemingly being the main goalies battling for the number 1 spot in Ottawa, especially once Lehner has suffered a concussion part way through the season. With Lehner only being 23, I would say it’s a great pick up for the Sabres with a goalie that really excites me and it also gives the team a genuine number 1 goalie. Could the Sabres have picked up a goalie with the 21st pick or through the UFA list that can match the potential of Lehner? Probably not if I’m honest. The interesting part of this trade for me though is the addition of Legwand and what role does he have with the team? 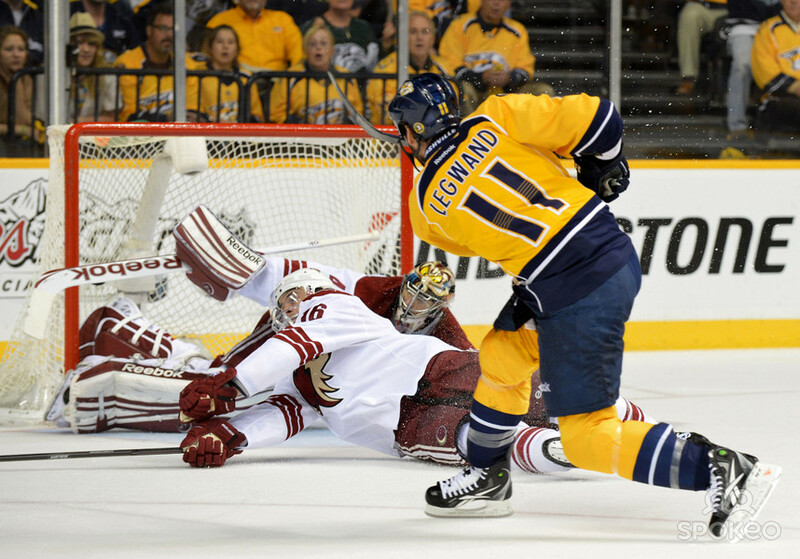 Legwand scoring in his time in Nashville! Legwand is a 34 year old 15 season NHL veteran, he played 14 of those seasons with the Nashville Predators including 3 season with an ‘A’ on his jersey before being traded to the Red Wings as part of the Eaves and Jarnkrok trade and then signing for the Sens as a free agent last summer. He’s never had huge goal or point production but he still has a lot to offer the team that’s for sure and with the Sabres having such a young team his leadership skills both on and off the ice could well match that of Sabres Captain Brian Gionta. Did the Sabres get better on the morning of the draft? Absolutely no question in my mind, we certainly did! But all this was just the beginning of an incredible day for all Sabres fans! I’ll look at the Draft itself and also a surprise Trade that caught everyone by surprise a it happened moments before the Draft itself in Part Two.